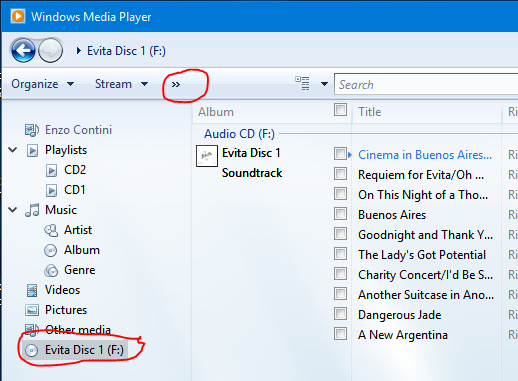 Very often when you buy a CD you like to have also its MP3 version in order you can upload it in a MP3 reader or a smartphone. There are a lot of SWs that can do that (even free ones) and possibly you have to install the proper codec (e.g. Lame). 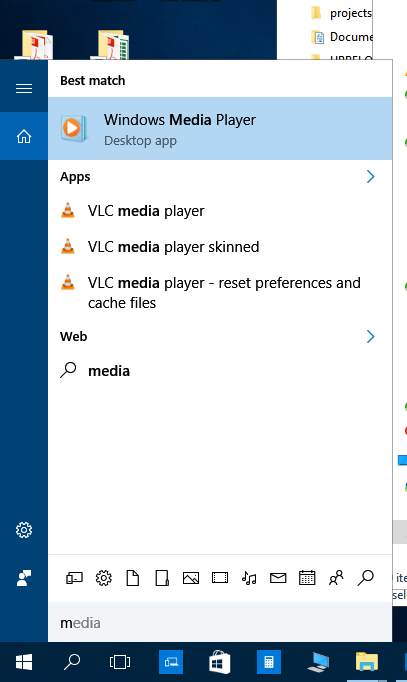 However if you have a Windows 10 PC (or even a older version one) you have already installed the SW that can do the work!! 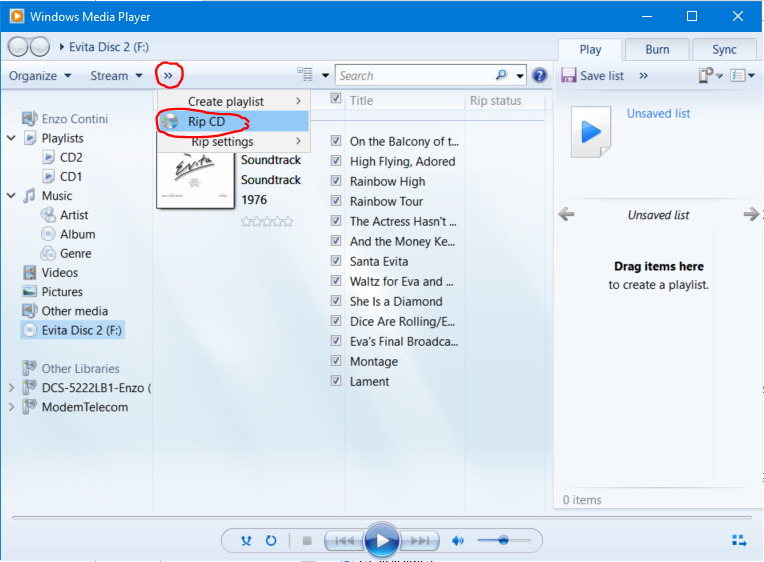 It is Windows Media Player that you possibly already use to listen music: in fact, this desktop application allows also to rip music (e.g. 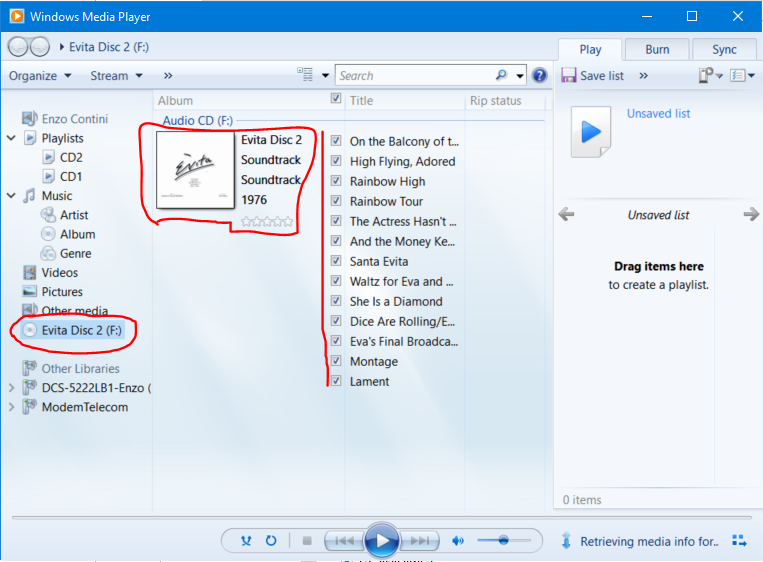 convert a CD audio to MP3 files) in a very easy way, as I’ll explain in the following. 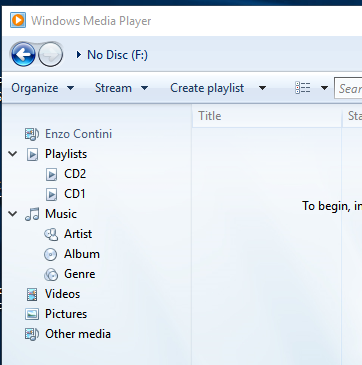 Once a CD is inserted in the reader, all its track are shown in that application: it also recovers from Internet all the related information (e.g. title of each track, cover, album name, genre) … and all of them will be used to populate the metadata of the next generated mp3 files. 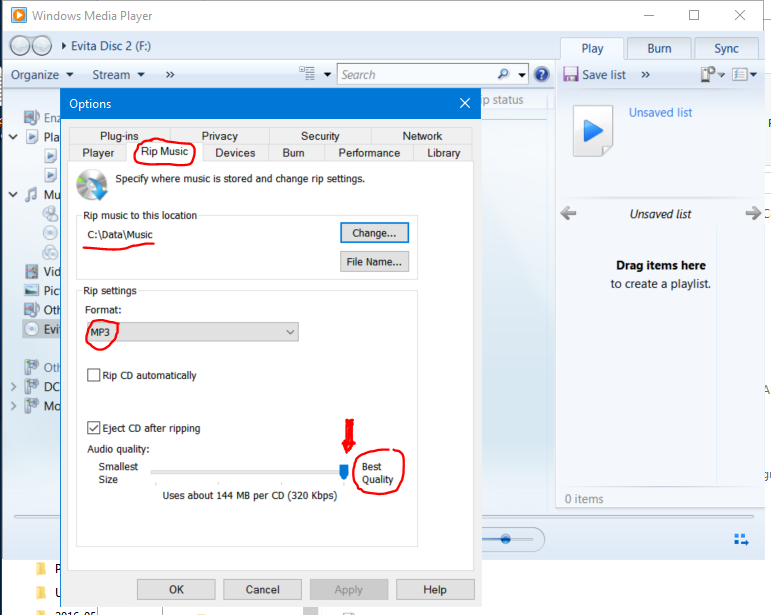 Before start e ripping, you can possibly choose the best options for you, going to Organize -> Options – Rip Music (or from >> -> Rip settings – Audio quality). 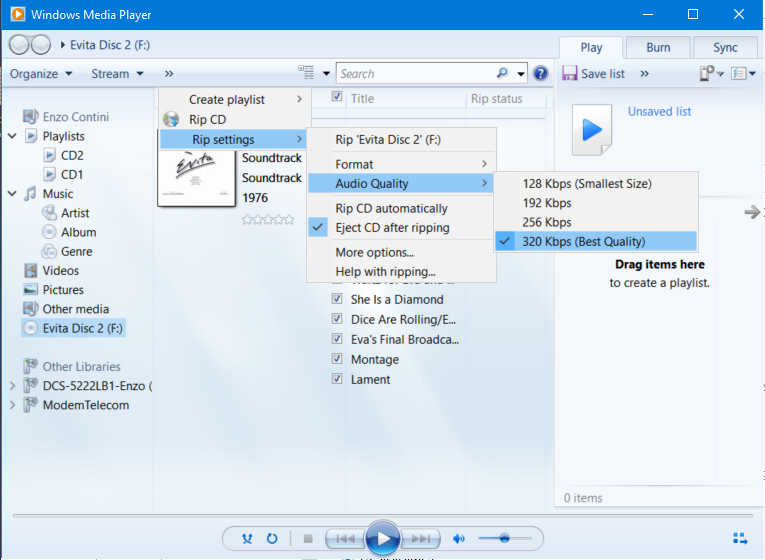 The Rip CD item is available only if an audio forder is selected in the left tree menu (e.g. the F: in the following case, that is the driver mapped to the DVD reader of my PC) otherwise it is missing. 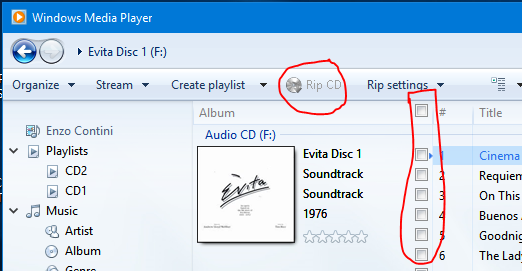 The Rip CD item is enabled only if you select at least one track you want to rip. 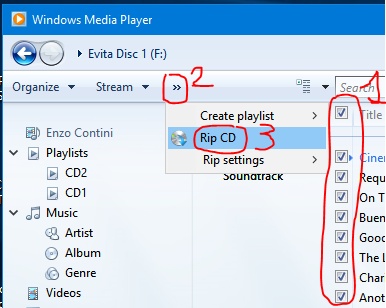 To start the rip select Rip CD (may be throuh the >> option menu, if that application window is small). The MP3 files of all the selected tracks will be generated in few minutes and you will find them in the Music defined folder. Note that as each selected track is ripped, it is unchecked and the job starts with the next checked one. 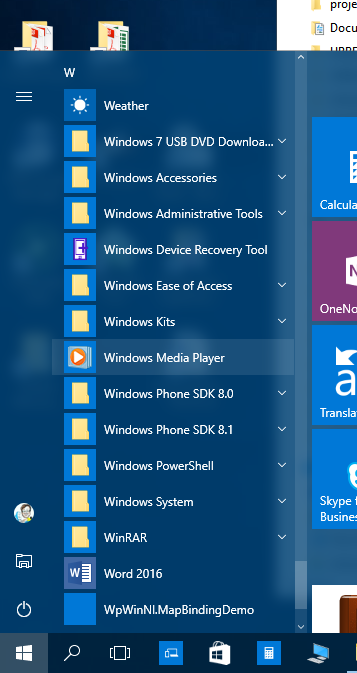 Questa voce è stata pubblicata in Review e test, Windows. Contrassegna il permalink.